Save Big for the Holidays at Orlando’s Outlet Malls! The holidays are a magical time of year, and part of that magic comes from getting the best deals on gifts for your friends and family. Orlando is already one of the most popular destinations in the country for retail shopping. Around the holidays, you can find some of the best deals of the year without having to worry about ordering online or paying for shipping. The Orlando International Premium Outlet mall is one of the most popular shopping destinations in the city for big name brands at low prices, and best of all, it’s located just a short distance from the Rosen Inn, making it not only affordable but convenient as well! Holiday extended shopping hours will be in effect for those last-minute gifts, including on Christmas Eve from 9 a.m. to 6 p.m., and on Christmas Day from 12 p.m. to 6 p.m. 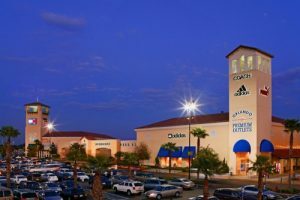 The Orlando International Premium Outlets are located at 4951 International Drive and features package check, hotel package delivery, and luggage wrap services via Simon Concierge. When you book a stay with us at the Rosen Inn at Pointe Orlando, you not only get a luxurious place to recharge your batteries each night, but we also offer a free shuttle service to and from the outlets! This saves you even more during your stay and makes it so you don’t have to fight the notorious Orlando traffic. Make your holiday vacation in Orlando one to remember; call us at (407) 996-8585 to book your stay today.